During the month of October Eastern Oklahoma Medical Center is offering a bag of goodies and a chance to win in a weekly drawing. 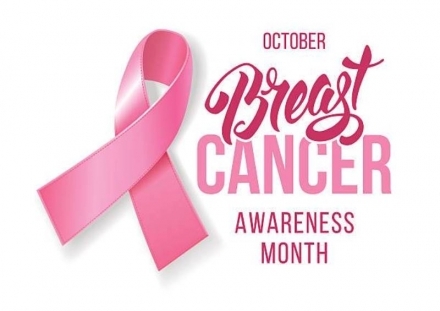 This Breast Cancer Awareness Package drawing will be held every Friday in October. 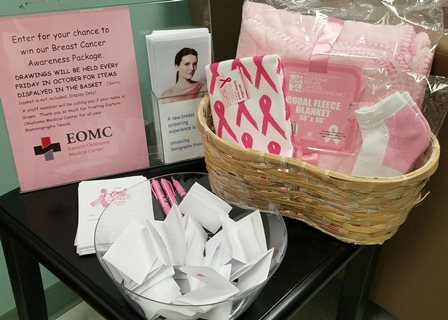 Come to EOMC during the month of October for a Mammogram, and get a bag full of goodies. Some women – because of their family history, a genetic tendency, or certain other factors – should be screened with MRI in addition to mammograms. (The number of women who fall into this category is small: less than 2% of all the women in the US.) Talk with your doctor about your history and whether you should have additional tests earlier and at more frequent intervals.